Removing all photos from the Camera Roll on an iPhone can be notoriously slow, particularly for Mac users with large picture libraries. 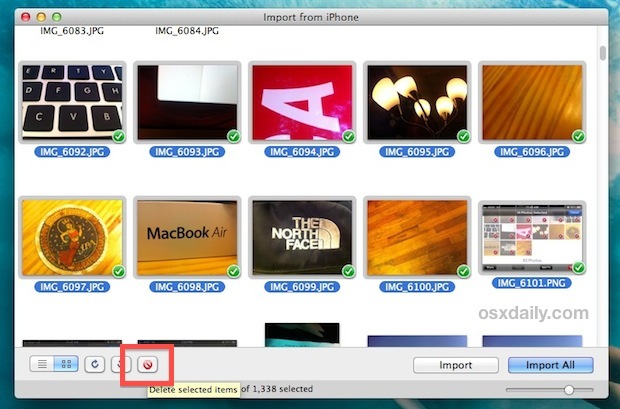 Deleting all images from an iOS device with Image Capture can literally take hours, and deleting more than one photo directly on an iPhone itself is time consuming and a very hands-on process as you have to tap each picture you want to ditch. 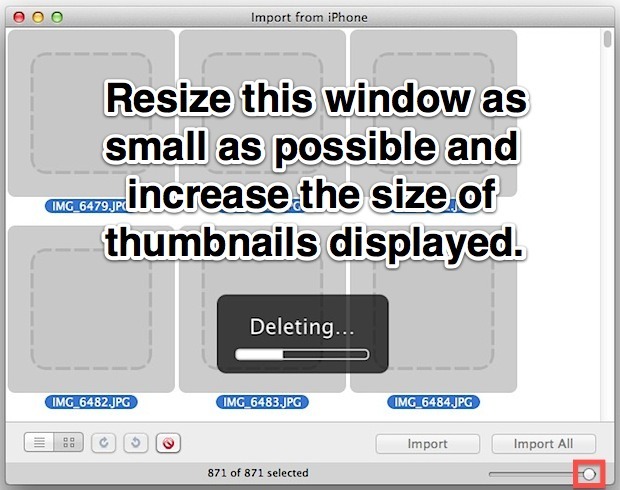 Using the OS X app Preview you can speed up the removal process quite a bit with the help of a fairly silly adjustment. Removing pictures this way still takes a while, but you’ll notice the thumbnails will go blank and groups of 2-3 images will be deleted at a time rather than 1 image at a time like the Image Capture method. The reason this probably works faster is because the draw time for each thumbnail is reduced, and they’ll quickly stop displaying entirely which makes the Camera Roll clear out even quicker. In a strange twist, while removing all photos is faster this way, importing them to the computer seems slower with Preview than with Image Capture. Go figure. The Preview portion of this tip was left by Dana in our comments, and I accidentally discovered the the thumbnail and screen resize trick. I deleted an image library of 1400 photos in about 6 minutes, still not as fast as Windows users can remove photos but it is indeed much faster than Image Capture or the endless tap-and-delete approach on the device itself. We’re hoping Apple adds a bulk delete function to the iOS Photos app soon, but until then this will do. If anyone knows a better or faster method, by all means let us know in the comments. I use “Image Capture” weekly to remove/import hundreds of photos and videos from my iPhone an it is done in seconds so I don’t understand the reference to this process taking hours. The tip for using Preview is a good one and I will probably use it also.. I love this site but please lets not exaggerate as it will only serve to hurt the credibility of this site. If anyone doubts my claim I would be happy to do a screen recording of the process to show the process take seconds. I recently deleted 14GB of photos from iPhone using Image Capture, it took over 2 hours. I’m not pulling numbers out of the sky here, promise. How do you get those numbers for the signal on the iPhone? how do you get that finder menu bar? what app are you using for that… looks neat. and what wallpaper is that? The wallpaper is a surfer duck diving under a wave, can’t recall where I got it though. That is what’s so frustrating, Windows users can delete a giant library of photos in about a minute, it literally takes over an hour for Mac users. Doesn’t make any sense. Well, at least modern computers are fast enough to run multiple operating systems simultaneously in virtual machines. That way we are not constrained by the limitations of a particular OS. My MacBook Pro runs Win 7 64-bit natively faster than MacOS X, go figure. However I still run it in MacOS X and run 32-bit VMs in Parallels. 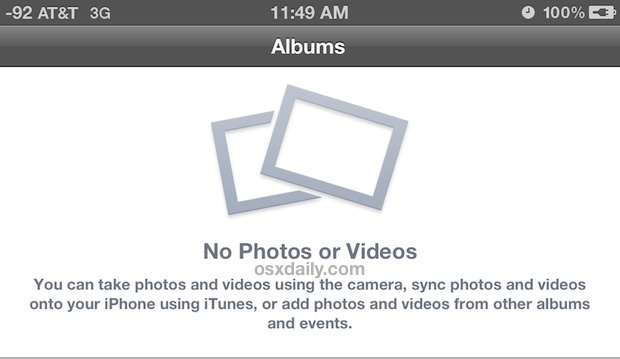 During the transfer from iphone 4 to iphone 5, I cannot restore my Camera Roll. I have the images saved in a file (format looks like this: )dc926a1810f7aee4e8f38793ed788701f93bf9d. Can you tell me how I can either convert these photos from the Camera Roll that are in this strange format back to my new iPhone 5, or convert them to .jpg or something, just so I don’t lose them? Any help is much appreciated. Can’t you go to Settings:General:Usage:Photos & Camera, and swipe the Camera Roll? Then press the red Delete button? I ask, because the functionality is there (I do the same thing to delete my music). And also because I’ve just done this to delete my photos a few minutes ago, and the phone doesn’t seem to be giving me back my space. Wondering if it would take a long time, I did a Google search and found this page. I’m having the exact same issue. I recently cleared out my entire camera roll (and all photos), and it’s still saying there is 130MB in the Camera Roll, and 2.7 MB in the photo library. I tried swiping both of these and deleting, and they just came right back. Can’t seem to get this 133MB back. Thanks for the tip. Can’t believe a company as smart as Apple don’t have a good way to achieve this simple task. Shelby – you are on the money. Don’t think there is a better way to clear your camera roll completely. Simple. Just go to Settings>Usage>Photos, and swipe to the right over ‘camera roll’, then hit delete. Strange, this doesn’t work for me either. Swiping to delete Camera Roll (Settings>Usage>Photos&Camera), but the screen kicks back one step to the Usage page and shows no change in available space. 4,156 photos still in Camera Roll. Running iOS6. Guess I’ll try the Preview method next time I’m tethered. I tried this several times and it didn’t work. I even restared my iPhone. What am I missing? THANK YOU! I spent forever messing around with iPhoto and Aperture…and could not find a way to delete the Camera Roll without individual deletions. With over 3,800 pictures to delete, that would have been a nightmare. 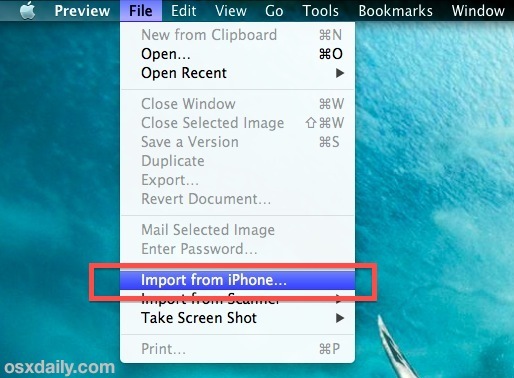 Not happy that iPhoto doesn’t offer the option to delete after importing…but you saved me with the easy tip. Still may sell my Apple stock, though. Wow. What a nightmare piece of crap. Thanks mate!